Superior Truck Mats makes great replacement mats for cars, trucks, vans & SUVs. 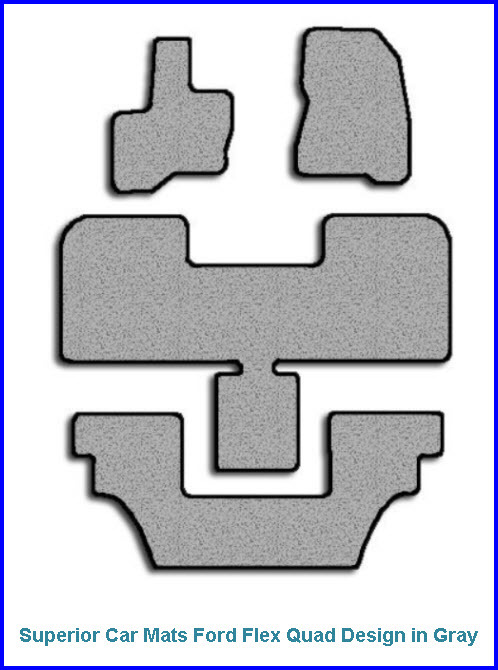 Superior Truck Mats is one of the smaller vehicle floor mat manufacturers in the USA. But remember, small is beautiful! And, in the case of Superior Truck Mats you get a company that will make you a mat for your car, pickup, van, SUV or class 8 fleet truck. Note : this company appears to be out of business 10/8/2014. Yah, that's right! Superior makes those regular mats we put in our everyday vehicles and also the mats that fit into that big rig Mack, Freightliner, Volvo, etc that you meet on the road everyday. So I guess if you want the mats in your pickup to match the mats in your big rig, you've only got one place to go! And think about it, you get to customize the mats in your SUV with the same initials, colors and logos you get to use in the big rig. Talk about fashionable! Anyway, lets get into some nitty gritty on these Superior mats.